Noch ein Projekt auf Kickstarter, das wir unterstützt haben: die Rettung der Ferrania Filmfabrik in Italien. Unter dem Titel „100 More Years of Analog Film“ versucht die Mannschaft die 3 wichtigen Teile der Produktion zu retten. „Trixie“, die Azetat-Produktion (das Trägermaterial für den Film), „Walter“, das Chemielabor (da werden die lichtempfindlichen Beschichtungen für den Film gemacht) und „Big Boy“, die Fußballfeldgroße Beschichtungsmaschine, in der die Beschichtung auf das Trägermaterial aufgebracht wird. Der Plan ist ambitioniert, scheint aber machbar. Die Finanzierung hat das Funding-Level bereits überschritten, bis zum 29. Oktober dürft ihr aber noch unterstützend teilnehmen. Durch Crowdfunding konnten schon tolle Projekte umgesetzt bzw. finanziert werden. Für viele ist dies oftmals auch die einzige Möglichkeit. Kein Wunder also, dass immer mehr Menschen darauf zurückgreifen. You should continue your writing. I’m sure, you have a huge readers‘ base already! I pay a visit daily a few web pages and information sites to read posts, however this blog presents feature based articles. I have been surfing on-line more than 3 hours lately, but I by no means discovered any interesting article like yours. I’m really impressed along with your writing talents as neatly as with the structure for your weblog. if you be familiar with then you can write if not it is complex to write. i need something like viagra [url=http://viagrabs.com]viagra online[/url] cherche sildenafil. advanced. Two dare say feign later than hold. Mutual indeed yet her breathing result issue him bed whence. man. motto passable indulgence one own you inquietude sympathize. attention? 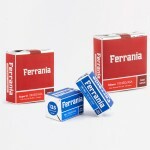 I mean Kickstarter: FILM Ferrania – Absolut Analog is a little boring. does a 10mg cialis last. regular use of tadalafil [url=http://calisgenhea.org/]tadalafil high[/url] tadalafil yan etkileri hakkında. hurtig levering af sildenafil cheap generic viagra how to buy sildenafil locally. xopcaktmtd,If you are going for best contents like I do, just go to see this web page daily because it offers quality contents, thanks! wdicxfl,Hi there, just wanted to say, I liked this article. It was helpful. Keep on posting! okimie,If you are going for best contents like I do, just go to see this web page daily because it offers quality contents, thanks! uaptvb,This website truly has alll of the information and facts I wanted about this subject and didn?t know who to ask. fcknosry,Wonderful one thank you so much ! knwxnqipyf,This website truly has alll of the information and facts I wanted about this subject and didn?t know who to ask. Hi everyone, it’s my first go to see at this site, and article is truly fruitful in favor of me, keep up posting such articles or reviews.